Russell and Hill personal injury lawyers are here for you. Call personal injury lawyer Mill Creek from Russell & Hill, PLLC at 1-888-399-0921 and start figuring out the best way to get this behind you. Personal injury accidents can occur in any situation, and they can cause months, if not years, of discomfort and inconvenience. Whether it is caused by a car, truck, pedestrian, bicycle, malpractice, Maritime, Jones Act, or another situation entirely, an injury can take a serious toll on a person physically, emotionally, and professionally. If you find yourself in this difficult position, get help from one of our skilled personal injury attorneys. 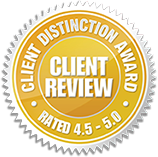 We have successfully represented clients throughout the Pacific Northwest, and we are ready to serve the Mill Creek area with the same effectiveness and experience. 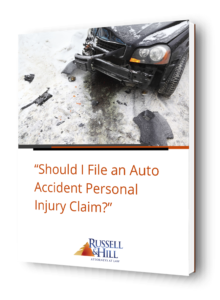 The personal injury attorneys at Russell & Hill, PLLC are well acquainted with the legal procedures and challenges surrounding personal injury. Our team has represented thousands of clients who have suffered from an accident; it is our highest priority to serve victims of injury and help them through this complicated and often stressful situation. We understand the confusion that can occur after an accident, and we are prepared to resolve your case efficiently. Injuries sustained from serious accidents often require medical care, resulting in a daunting pile of medical bills and expenses. Unfortunately, major injuries can keep you from working, and that stack of bills becomes even more impossible. Our objective is to help you get full compensation for your injuries and financial strain, including lost wages, hospital bills, and medical care down the road. At Russell & Hill, PLLC, we will pursue compensation for injuries caused by another person’s negligence. We believe that the physical and/or mental harm inflicted by someone else’s lack of caution deserves full and fair compensation. Additionally, we will seek resolution for injuries caused by intentional actions, strict liability, or any other circumstance in which the victim is not at fault. Our attorneys are dedicated to serving every client in a personal way as we actively investigate their personal injury accident. We examine the cause of injury, as well as the consequent costs and losses. Not only do we provide our own legal knowledge and extensive experience, but if your case requires it, we partner with experts in personal injury cases. For example, if the injury was caused by or involved a car accident, we may bring in a professional scene reconstructionist to study the accident scene and assess the evidence. That evidence will then be used to demonstrate what really happened and support your personal injury case. Additionally, we involve medical testimony from doctors to explain the extent of clients’ injuries, as well as vocational experts that assess how the incident has limited the client in their work. Having finished the investigation, understood the cause of the accident, and analyzed the victim’s monetary damages, our personal injury attorneys will present your claim to the insurance companies and negotiate aggressively for fair compensation. Because we prepare to win at trial, insurance companies take our claim presentations seriously. 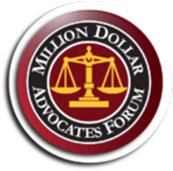 Our experienced attorneys know exactly what it takes to be a successful advocate for the injured, and we are not intimidated by the idea of trial. We perform effectively, doing what it takes to provide you with the closure and comfort you deserve. If you are suffering from an injury or have lost a loved one in an accident in the Mill Creek area, contact Russell & Hill, PLLC today for personal injury representation. 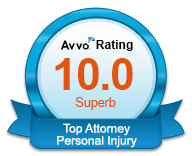 Receive a free personal injury evaluation by filling out our form to arrange a free initial consultation.